The Knowledge is Power event has ended! Don’t fret, for we’re still on the lookout for knowledgeable players to share their tips & tricks of the trade! 1) Create posts under the “Guide” section here. Please include the Guide Type in your title, and your IGGID at the end of your post. 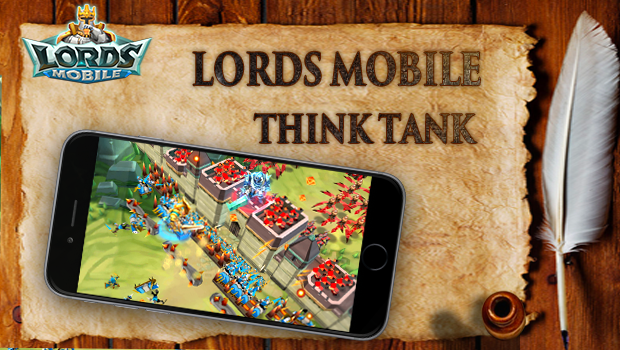 2) Lords Mobile reserves the right to publish submitted entries. 3) Original entries only. Please use your own work! 4) Guides that were submitted for previous contests will not qualify for this event. 5) There is no submission limit. You can create as many guides as you want! 6) We will announce the winners and send out their prizes each week (latest by Friday). Rewards:We will pick good guides to feature in the Elite Trainer subforum. Winning guides will receive 25K Gems each. Try to include as many details as you can, guides which are considered too short will be disqualified. That is a terrible idea. That idea is not even a smart one. First off that can be abused. Hit and run tactics. Bad enough its paid to win and you want to tele at any given time? Why dont you ask for a sign saying "hit me anytime" posted. Not every player can afford to shield every 8 / 24 / 3days or even a week. You will be raided any given time. No add space where you dan stack ,available shields and use them up as a stack , example 2 4hours fan be aded together to make a 8 hour shield. Comment There are 21 more comments, click here to view them. It's easier to communicate with each other. How do you do this guide thing? All you have to do is provide pRopley with some good tips and tricks on any of the guides above. Try your best as they may help someone! A note on the food, if your troops don't die with food at zero you are essentially throwing rss down a never ending hole. Better off making all ore or stone or wood. Better I think to leave the rss builds and do only the rss buildings needed for upgrading your castle. What are the best hero options for elite level 6-12 and normal levels 7-12,7-18? Just Google "Lords mobile 6-12 (by this time there will be a list of them you can pick from. Really helped me along). Look up specific levels on yt and google. Sometimes lower level heros in specific teams create an anomoly in the algrothyms that create a win. Regardless, some levels require very specific teams even with levels and grade maxed. Attacking castles is a very important part of lords mobile. Even if you are the lowest of the low you can still use these tricks . First of all when your attacking the travel time is different based on what troops you put. So if I put just archers and gladiators I would have less time than if I added other troops like the catapult even though these are tier 2 it makes no difference. Troops also have counters against each other. There is a bonus to lower level castles - level them up strategically.Certain specials can only be bought right after you achieve certain castle levels. Also, events are specific to castle level - some of the lower level events may give rewards that help you boost hero grades faster, for example. Construction:When constructing things choose things that will best fit your day.You should also get a higher castle quick so that you can get tier 2.You. Should also know how you are gonna use it in the future. Construction and research It is very very important to always have troops training, research going, construction going. This might be obvious but do the calculations, if you won't be on for 12 hours do a construction or research for 12+ hours.